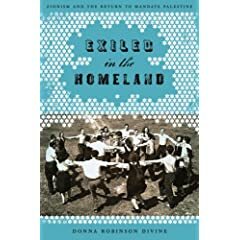 Donna Robinson Divine is Morningstar Family Professor of Jewish Studies and Professor of Government at Smith College and the author of Exiled in the Homeland: Zionism and the Return to Mandate Palestine (University of Texas Press). The feelings stirred up by the conflict between Palestinians and Israelis are so volatile that it is difficult to examine it without taking sides even within the halls of the academy. But in the classroom, the terrible toll exacted by this hundred years’ war should command intellectual analysis, not political advocacy. Politicians posture and champion causes; teachers develop perspectives, generate critical and thoughtful scrutiny, open up conversation, and produce some understanding of the reasons for the persistence of this conflict. Properly practiced, the academic study of this conflict rights no wrongs, provides no political or social therapy and configures no single moral compass for what to do outside of the classroom. The classroom is no battleground and the lectern no soapbox. The responsibility of an engaged intellectual is to bring clarity and substance to the issues probed. For that reason, I routinely begin my course on this topic by asking students about the appropriateness of its title: The Arab-Israeli Conflict. I do so to invite criticism, to suggest that my perspective is not sovereign and to say, plainly, that the arguments I may put before them need not be taken for granted. In designing my syllabus, my task as instructor is to help students develop their analytical and critical abilities as well as to make available to them the body of knowledge necessary for making their own informed judgments long after the final examination has been graded. Over the years, I have experimented with various approaches to achieve these aims—my syllabus never remains the same from year to year, and the changes I introduce invariably generate the need for even further change. The initial readings, including excerpts from books or articles by Edward Said, Fawaz Turki, Hillel Halkin, Amos Oz, and Aaron Soloveitchik (1), encourage students to confront the fact that this conflict is not only about a piece of real estate: it is also about different and competing conceptions of national identity. And on that topic, Zionists and Palestinians disagree as much within their own communities as across the national divide. The Said piece is intended to enable students to see what might be called the invisible paradigms of the argument in favor of Palestinian national rights. In his book, Said devotes more time to denouncing Zionism than to depicting the nature and characteristics of Palestinian national identity. As Hillel Halkin remarks in his reply, while Said is enraged by what he perceives as the neglect and lack of serious attention directed at the humiliations that continue to be visited upon Palestinians, he offers no comparable respect for or recognition of the national right to self-determination asserted by the Jewish people. To speak of Zionism as an appendage of Western imperialism is simply lacking an elementary historic perspective. Zionism is, he claims, no more than an instrument for dispossessing a people and for downgrading a nation into a problem. And he heaps much scorn on the support for Israel proffered by liberal humanists across the globe. Moreover, and perhaps, more significantly, Said’s polemic makes clear to my students the historical constraints defining the international consensus on political and moral rights. More than thirty years ago, when Said’s text first appeared, the international consensus evinced sympathy for Israel’s struggle for peace and stability. Now the infrastructure of international politics has experienced a whiplash-induced shift in the direction of the Palestinian cause as part of the language and institutional commerce of human rights. This paradigm shift claims to be moral [and by definition, universal] rather than political, but it is organized around power and interests and constitutes a significant achievement for Palestinians who labored long and hard with Arab financial support to assimilate their national claims into the discourse on human rights. These lofty ideals of human rights that bring together people across national, ethnic, class, and gender borders do so in response and in service to particular economic and political forces and interests. This is not to deny that many people all around the world put their lives on the line for ideals. This is to assert, as my students come to recognize, that they do so within a system of values and priorities, reflective of interests--sometimes consciously embraced, often unconsciously accepted--that structure their actions, expectations and choices. Several years ago I decided I could best reach students by framing the course around the options available at critical moments during the long course of the conflict. Israelis and Palestinians pay a very high price for their nationalist commitments and ambitions, and the reasons for accepting these burdens must be put front and center of any course on the Middle East conflict. But no less important is an examination of the effectiveness of strategies and tactics and of the reasons why Zionists were far more successful than Palestinians in reaching their political goals. Consider the damages resulting from the Palestinian decision to stake their political future for so many decades on absolute opposition to the establishment of a Jewish state in any part of Palestine. The class and I talk about the consequences flowing from this principled stance and the very high price paid by Palestinians in lives lost, villages erased, and land forever gone. Or analyze, as I gently prod my students to do, the periodic effects of unleashing outbursts of murderous force that pull such large numbers of Palestinians into its cataclysmic center of gravity. Palestinian [and for that matter, Arab] political leaders have embarked on military campaigns that left their costly expressions in the wreckage of both societies and polities as well as of individual lives. Why, I ask my students, were such leaders as unwilling or unable to prepare adequately for war in 1947 as in 1967, entrapping their people in the kind of chaos they could not long endure? Examining the decisions of the past builds stronger analytic authority for evaluating the choices made in the present. It comes as no surprise to my class that even after years of unremitting strife presumably altered the official Palestinian standpoint and committed its leadership to engaging in diplomatic negotiations with Israel -- compensating, perhaps, for the suffering brought on by the first Intifada -- violence still seemed a compelling means of propelling their cause forward. Thus the political benefits conferred by the Oslo Process produced the outrages of another Intifada as Palestinian leaders seemed incapable of subordinating the promises of a redemptive politics with its magical goals of wiping away all injustice to the practical compromises necessary to get a state. Applying this calculus to Israel, the question for my class becomes whether this country, too, has been rightly led to pursue strategies offering the best chance of escaping the untold expense of continued bloodshed or whether failures of imagination have forfeited opportunities for peace and degraded the capacity to recognize the dangers of re-mapping the state’s borders even after wars not of its own making. So, I ask my students to calculate the costs and benefits of founding settlements in the areas conquered from Jordan in June, 1967, part of the historic land of Israel and its landscape of sacred sites. It may have bestowed both a renewed spirit and religious energy on Zionism--arguably an asset--but did it not also impose on Israel major responsibility for the Palestinian problem, an accounting that may have complicated the nation’s foreign relations, raised the costs of its common defense, and produced a prolonged policy paralysis with its own downward political dynamic. My course on the Arab-Israeli Conflict is one of many intermediate level classes in Smith’s Government Department. It fulfills a disciplinary requirement for majors, but it also attracts students pursuing a wide array of studies across the College. Typically, there are as many Arab as Jewish students in my class, although most enroll just to learn something about what appears an endless conflict between sworn enemies that continually dominates the headlines. To equip students with the skills required to understand the ferment of the confrontation, I structure a debate on some topic that is a current focus of controversy—one year, the security fence or wall; in another, the return to negotiations. I ask students to take on positions normally at odds with their own personal preferences or loyalties. I have had students from Saudi Arabia and other parts of the Arab world—some who wear the hijab—represent Israeli Likud politicians, and Jewish students who assume the mantle of Hamas or of the al-Aqsa Brigades. Interestingly, my Arab students typically remark that they are happy their fathers are not around to see them perform. Even before the Middle East Conflict sought the shelter of academic freedom across American campuses, I took free speech to mean that in the classroom, both students and faculty had the opportunity to examine this complex emotional political issue in all its dimensions as a lively intellectual inquiry. Aaron Soloveichik, “The State of Israel: A Torah Perspective,” Tradition, [Winter, 1990]: 1-11. Kislock, if you think that the people in Gaza are being kept there by Israel, then you are wrong. Israel would likely welcome large-scale emigration from Gaza. Israel does not keep them there. Hamas --like the PA/Fatah before it-- wants the population to all stay there except for their operatives who leave for political and terrorist training purposes. Indeed, Hamas has kept ordinary people from leaving there. Likewise, Egypt does not want a sizable part of the population to leave in order to keep them there as a thorn in Israel's side, as well as a prime quality propaganda exhibit for how mean and not nice Israel is supposed to be. Arab lands of Saudi Arabia, Kuwait, Bahrain, Abu Dhabi, Ras al-Khaima, and Sharja, maybe even northern Sudan which is not so wealthy, and so on. It would be tedious to refute all of Omar's lies in the comment above. All Arab states but Lebanon are avowedly Muslim states by their constitutions and discriminate against non-Muslims. Sudan not only discriminates but has committed mass murder against indigenous tribal black Africans in southern Sudan. Several million southern Sudanese have been massacred over the last 53 years since Sudanese independence, albeit that the UK set up this situation of massacre and conflict by placing southern Sudan under the govt of the northern Muslims. The Quran acknowledges that the country was Jewish in several verses. Sura 5:20-22 recounts the divine assignment of the Holy Land to the Jews. In the 1940s, the British supported the Arab side against the Jews. The Jewish underground fought the British, not as Umar wrote. Indeed, the UK is still anti-Israel. Art, NF, Fahrettin, Umar, et al. Art mentions the medieval nature of the themes of Valley of the Wolves. The worldwide problem is that we --the world-- are going back to the Middle Ages. And some of those who make the most noise about Progess --those who call themselves the Left-- are enthusiastically heaving and churning to bring back the Middle Ages. by the way, Prof Richard Landes who wrote a comment on this thread, is supposed to be writing a book on this very theme. He is a medievalist and is writing on the medieval inclinations of the 21st century. Mr Kislock, one problem with your knowledge of the Gaza war of last year is your acceptance of false statistics about civilian deaths in the war. These false numbers were put out by interested parties, by both Arab and Western Judeophobes. For instance, many policemen were killed at the start of Israel's retaliatory attack. Policemen in Gaza are armed men in the service of the Nazi-like Hamas [see Article 7 et al. of the Hamas charter]. They are used also as terrorists, as soldiers against Israel, and as oppressors of their own people, especially Fatah members, many of whom were killed by Hamas during the Gaza war. Yet the Hamas policemen were claimed to be civilians. If you want to get a feel for the falsifications in the goldstone report, especially concerning the proportions of civilians, read the lists of names of the dead and you will see a much higher proportion of males killed than females. If civilians were killed indiscriminately by Israel, then the proportions of males and females would be about equal. Omar, you mean only one part of Beirut, in fact only 1% of Beirut, where Hezbollah was hiding cowardly among the civilians, was damaged? I thought Hezbollah was saying the entire city was totally destroyed by barbarous Israelis. (And "Electronic Lebanon" claimed all of Lebanon was destroyed...). Could these Arab remarks be...lying propaganda? No, Omar--these other victims reported it. You should stop *guessing*, and actually do some research, before you post. Really--is that too much to ask? These other victims reported it, yes. But nothing much was done for them (e.g., by the UN), although the UN did classify the Jewish refugees from Arab/Muslim lands as official "refugees"-- the exact same status as the Palestinians (except there were more Jewish refugees than Palestinians). But in all other cases of official "refugees", including the Jewish refugees from Arab/Muslim lands, *only* the refugee generation has been considered official refugees by the UN: that is, NOT their descendants. The Palestinians are the *only* exception. Only the Palestinians, with their hideous record of continual political miscalculation and terrorism, get a special dispensation from the UN here. That's what I mean by a special dispensation. Actually this was not the first time this series operated with that motive. The valley of the wolves series started attacking Jews four years ago with a film about Iraq where a Jewish doctor was slaughtering Arabs to sell their organs to New York and Tel Aviv. Mrs Erdogan, the PMs wife publicly stated that was a good film. Pro government media keep telling the people that the entire middle eastern conflict is about Jews killing Arabs for fun. This has led to rising anti semitism in Turkey. How does your words diminish , detract or abolish the fundamental issue of the inalienable human rights of refugees whoever and where ever they happen to be ? And the universal human duty of solidarity against human rights violations? Many murders remain unreported and unsolved their perpetrators unknown and unpunished, does that mean that murders should go unreported, that their perpetrators should not be brought to justice? Or do you have a special scale and criteria for what should be reported and what should NOT be reported, what should go to a court of law and what should not go to a court of law ...? Your rationale is truly amazing Professor it boils down to : since others, presumably, chose NOT to report the violation of their human rights NOBODY should report the violations to his human rights .... Or is it unless! Pray educate your readers about which violations of human rights should be reported and which should not. Would that by any chance fall under your Gentile and Jew criteria and standards....Professor?? Not every refugee group has managed to insert their particular grievance into the general language of human rights. The 12 million Germans expelled from Eastern Europe in 1945 have failed at this. The 7 million Hindus expelled by Muslims, or fleeing, from Pakistan in 1947/1948 have failed at this. This is true even though the Hindu refugee situation was ten times larger in scale than what occurred with the Palestinians after the Palestinians launched a war against their neighbors. The 850,000 Jews expelled from Arab and Muslim lands have failed at this, though the number expelled involved 100,000 MORE people than the Palestinian "Nakbah". The 350,000 Greeks expelled from Egypt in the 1950s have failed at this. The 200,000 Hindus expelled from Uganda by Idi Amin have failed at this (Idi Amin eventually found refuge in Saudi Arabia as a "good Muslim"--but never mind). In short, the only refugee population who have had their particular plight inserted into general human rights discourse is the Palestinians. It is fair to wonder why, since they neither suffered more than anyone else (the total number of Hindus who were KILLED outright by Muslims in 1948/1948 is equal to the total Palestinian population that became refugees), nor on the largest scale. The tv program was about Israelis stealing or kidnapping Turkish children for body-parts. This is sewer-like anti-semitic fantasy right out of the Middle Ages, and it was on the most popular show on Turkish tv. The show ended with the Turkish hero invading the Israeli embassy and killing Israeli diplomats. When similar material was shown on al-Manar tv of Hezbollah, Omar claimed al-Manar wasn't anti-semitic. This is what passes for intellectual discourse among Islamists, including Omar. You're sarcastically right, of course, to underline this Turkish Islamist "contribution" to peace. A major, but inside, paragraph in Divine’s essay demands further examination. “Now the infrastructure of international politics has experienced a whiplash-induced shift in the direction of the Palestinian cause as part of the language and institutional commerce of human rights. This paradigm shift [and by definition, universal] rather than political, but it is organized around power and interests and constitutes a significant achievement for Palestinians who labored long and hard with Arab financial support to assimilate their national claims into the discourse on human rights “ . That the Palestinians managed:” to assimilate their national claims into the discourse on human rights “ which “claims to be moral “ is not only part of “the language and institutional commerce of human rights “ but is, as strongly implied , unfortunately , “whiplash induced ”! So much for this professor’s scale of human values in which human rights are a “commerce”! Does being a professor of Jewish studies and patently an ardent Zionist exempt her from the standard prerequisites of a Professor at a major USA university and grant her a special dispensation?? Wanted to know where a forceful Zionist advocate from the light among nations, who defended Qanaa I and Qanaa II ( the bombing of air raid shelters in Lebanon), the almost total destruction of the residential Al Dahia ( ie the sub urb in Arabic) of Beirut and, of course, of the resent oeuvre of Gaza stands. If Egypt shuts the border then they must have an interest in Palestinian suffering .. When Israel gets the blame it is quite clear which interest this is. Welcome to this forum, Mr Kislock. You’re a fresh change from the establishment Zionists like Eckstein, Friedman and many others with their predictable whining about what they call “historical facts.” Why they are allowed to poison minds with their propaganda is beyond me; in a fairly-sized part of the world, they wouldn’t be allowed to see the light of day for even thinking such thoughts, much less to write about them. As things are, so far only Messrs Omar Baker and Arnie Scherban have been fighting the valiant battle of Progress. Your appearance is timely; high time for new blood on these pages, I say, what? Speaking of the esteemed former Mayor of London, he was barred from visiting my country Canada, the alleged “land of the true North, brave and free,” another victim of the ubiquitous ZOG. When moral and intellectual giants like Mr Galloway are prevented from spreading their message of peace and love, we should all worry. On a more cheerful note, though, I happened to witness a demonstration in support of Gaza in front of Toronto’s Israeli Consulate a few Sundays ago. Ah, a breath of spring air, the scent of linden trees in bloom, and all that maudlin stuff. There was, of course, the unavoidable counter-demo of Zionist wreckers across the street, trying again to steal undeserved media attention and to sully the message, but they were outnumbered by the friends of the people of Gaza. That would not have been the case had it been only Muslim friends and true and brave Progressives there. But as it turned out, the numbers were augmented and the day was saved thanks to the timely, generous and welcome support given by many new friends of the long-ignored Nationalist branch of the world’s Socialist movement. These new friends of Gaza brought focus and clarity to the cause and unnerved the Zionist rodents by shouting out effective epiphets not heard since happier times. You cannot imagine everyone’s delight when all the friends of the brave people of Gaza started up waves of Roman salutes! Ach, the poignancy of that sure shook-up die zionistischen Juden, ja! Oops, languages are getting vermischt in my head, for some odd reason. Anyway, the scene brought tears to my eyes, I tell you; secular and religious Islamic youth with the yellow flags of Hamas, progressive groups waving red and pink, and now the forgotten, but good friends of The Cause, with their more discrete red and black buttons sporting all those clever variations on the broken cross and the double lightning bolts! The spirit of the true Internationale made flesh. It sent chills down one’s spine, those lovely black and white kaffiyehs, flowery Arabic script, and oh, all those stirring salutes (although properly timed and nicely lined-up for visual effect would have been swell...there's grainy, b&w old footage of the proper choreography on that). Still, the visual effect was stunning and veritably made one want to indulge in a little pogrom, I mean program (spelling's getting mixed up too) up Bathurst Street, the Zionist epicentre, on the way to the nearest beer hall for a few cheerful speeches and old songs. Hmm, except that the Muslim friends and the generous Saudi and Persian sponsors may have reacted “explosively” to the music, beer, gay folk, bratwursten and the pretty fauleins in their brief and low-cut dirndls. But I digress. So, please forgive my ignorance in asking, but from what sector of the rich, multi-cultural anti-Zionist spectrum do you hail from? Not that it matters in the long term, as all now seem to have found new solidarity in the cause and are indistinguishable with regards to the real problem of the world, the ewige Juden, du verstehsts, ja? But this is a historical site and tracing the story of this timely coalition will be important to someone some day, I wager. So, again, welcome to this site and enjoy the fun and games. all wars cause human tragedies and cause human rights violations. This is why people make peace almost always accepting to give their enemies more than they want. The Turkish government is one of Islamists. These people are angry with the Jews because the Turkish Jews played a very important role in the modernisation which led to Turkey being the most advanced Islamic country. Turkey's recent most important contribution to the Middle Eastern conflict has been making TV films to insult the Israelis. After the recent row the makers of the Valley of the Wolves have promised to make an even more insulting film for autumn. They make money selling their films, the Palestinians get hopes of a support which will not be coming because Turkey already has too many conflicts and even the Islamists would be mad to produce more. Who the heck said that? Omar, having lost on the facts of the argument, resorts to vicious accusations. It's no substitute for facts, Omar, and you only bring shame on yourself. The statistic undermines the view that Palestinian Arabs are starving. Which is to say, what Mr. Kislock reports is propaganda, not fact. Since they have " one of the fastest increasing populations in the world" Ergo: it is OK to kill as many of them as possible . I do NOT deny it. I welcome it. Starving people tend not to reproduce in large numbers. That is a survival mechanism, as has been shown by scientific study. See this report. Which is to say, the argument that people in Gaza are starving is nonsense. Let's see: 1400 dead, of whom 1000 are armed terrorists, equals "genocide" in a population of 1.5 million. Let's see: an increasing population, in fact, one of the fastest increasing populations in the world, that too equals "genocide." Sure, that's the way to handle any information that contradicts your narrow ideology, Omar--simply deny it. Do you really think I'm making this up? January 08, 2010 --- British MP George Galloway was officially deported from Cairo today (Friday), when Egyptian plain-clothes police officers bundled him onto a London plane. Galloway had been trying to return to Rafah after news broke that seven of the Viva Palestina convoy members were said to be arrested. Police, who at one point were numbered at 25 mainly plain-clothes officers, refused to allow him to return. Several officers even followed Galloway to the toilet, rest room and a BA lounge. The incident began after George Galloway and his colleague Ron McKay arrived at the Rafah crossing from Gaza to Egypt. As soon as they emerged onto Egyptian soil both Men were forcibly pushed into a van, refused exit and told that they were leaving the country. They were then driven off in a police convoy. Viva Palestina convoy of 550 people from 17 countries was attacked by Egyptian riot police and plane clothes intelligence officers in the early hours of Wednesday (6th January). 55 of the convoy members were injured and 7 were also arrested. However Galloway and Turkish MP's struck a deal with Egyptian authorities, part of this deal was that the 7 detainees were released without charge. On the enforced drive to Cairo, news came through of the imminent arrest of the 7 but when Galloway demanded to return to Rafah, permission was repeatedly denied. London, Jan 19, IRNA -- Israel’s 22-day war on Gaza involved multiple killing of innocent people and verges on becoming an “act of genocide”, a leading British Jewish leader said. Rabbi Ahron Cohen, the influential member of the anti-Zionist Neturei Karta movement, told IRNA that the Israeli assaults and the subsequent blockade on Gaza mounts to genocide by the Zionist regime. Cohen added that the acts by the Israelis in the occupied Palestinian territories are against humanitarianism. The British rabbi further stressed that Zionism and Judaism are two different concepts as “Israel is not Judaism but Zionism”. He condemned the West for being accomplice to Israeli crimes in Palestine and Gaza, blaming the Zionist lobby in America. "The population in Gaza has the fifth-largest growth by percentage in the world." The population in Gaza has the fifth-largest growth by percentage in the world. One must add: the Israelis aren't alone in blockading Gaza from certain material: so are the Egyptians, and they control a large part of the Gaza border. Maybe it's US pressure--or maybe it's all that terrorism in Egypt which the Egyptian govt suspects is organized from Gaza. But in any case, food is certainly getting through; Gaza isn't starving. It's in bad economic conditions. That's the fault of Hamas, and Hamas' actions (such as shooting 6,000 rockets into Israel), which provoked an Israeli response. And finally: Recycling reports from a point when an actual WAR is going on in early 2009, by the way, and presenting that as the general situation, and failing to put the date of the report to establish the actual context, isn't impressive (as in your latest (139855) to which this reply is appended; I only found the actual date by looking at certain elements in the report). I'll go farther: Mr. Kislock, I find it intellectually dishonest. A coalition of eight British-based human rights organizations on Thursday released a scathing report in claiming that the humanitarian situation in the Gaza Strip is at its worst point since Israel captured the territory in 1967. The report said that more than 1.1 million people, about 80 percent of Gaza's residents, are now dependent on food aid, as opposed to 63 percent in 2006, unemployment is close to 40 percent and close to 70 percent of the 110,000 workers employed in the private sector have lost their jobs. It also said that hospitals are suffering from power cuts of up to 12 hours a day, and the water and sewage systems were close to collapse, with 40-50 million liters of sewage pouring into the sea daily. The report follows strident international condemnation of Israel after it struck hard against Palestinian militants in Gaza, killing more than 120 in the past week, including many civilians, after Palestinians militants escalated their daily rocket fire at Israel. The rockets have killed 13 people, wounded dozens more, traumatized thousands and caused millions of dollars in damage. Last week longer-range rockets reached Ashkelon, a city of 120,000 people, about 17 kilometers north of Gaza, prompting the harsh Israeli response. The Defense Ministry rejected the report, blaming the militant Hamas rulers of Gaza for the hardships. "Israel has the right and obligation to protect its citizens, but as the occupying power in Gaza it also has a legal duty to ensure that Gazans have access to food, clean water, electricity and medical care," said Amnesty International U.K. Director Kate Allen, one of groups behind the report. "Punishing the entire Gazan population by denying them these basic human rights is utterly indefensible. The current situation is man-made and must be reversed." The Foreign Ministry issued a report denying Israeli culpability in the humanitarian situation in the Gaza Strip, saying human rights groups "should point their criticism towards the Hamas terrorist organization that controls the Gaza Strip, and not against the State of Israel." The 16-page report - sponsored by Amnesty, along with CARE International U.K., CAFOD, Christian Aid, Medecins du Monde UK, Oxfam, Save the Children U.K. and Trocaire - calls on the British government to exert greater pressure on Israel and to reverse its policy on not negotiating with Gaza's Hamas rulers. Israel and the West shun Hamas and label it a terrorist organization. Hamas does not accept the presence of a Jewish state in an Islamic Middle East and has sent dozens of suicide bombers into Israel, most recently a month ago. The report adds that it considers Israel's blockade of Gaza as unacceptable and illegal collective punishment. Replying to the report, the Defense Ministry said it was misdirected. "The main responsibility for events in Gaza - since the withdrawal of Israel from the territory and the uprooting of the settlements there - is the Hamas organization, to which all complaints should be addressed, read a statement a spokesman," Maj. Peter Lerner. This week NGO Monitor, a Jerusalem-based watchdog, called on human rights groups to end what it called their political use of international law. It cited an Amnesty International press release that it said made unsubstantiated accusations that Israeli responses are being carried out with reckless disregard for civilian life. "NGOs and human rights groups must end their irresponsible and immoral use of legal rhetoric," said Gerald Steinberg, Executive Director of NGO Monitor. "False claims of disproportionate force and collective punishment by Amnesty International and Human Rights Watch make a mockery of international law." Aid agencies are battling to meet the urgent needs of tens and thousands of displaced, homeless and injured people in Gaza, as well as to get damaged water, power and sewage infrastructure back even to their ailing pre-war levels. The UN has appealed for $613m for the initial recovery phase, but has estimated that long term reconstruction will run into the billions. Two separate Palestinian surveys have put the cost of the damage just under $2bn. One said it would take three to five years to rebuild even under normal conditions - never mind with the continued Israeli blockade which stops all but humanitarian basics entering the strip. As well as killing more than 1,300, and leaving 5,300 injured, according to Palestinian figures, the UN says that the Israeli operation left two-thirds of Gaza's 1.5m residents without power, a third without running water and medical facilities overwhelmed and lacking basic supplies. Even before the fighting, most Gazans lived a precarious existence, with half the population dependent on UN food aid and the economy at a virtual standstill. Israeli and international human rights groups also accuse Israel of using closures in the month before the assault to further drain supplies of food and fuel in Gaza. Israel has stressed that it is working to speed the flow of aid into Gaza, and while more truckloads of supplies have entered Gaza than in the weeks preceding the operation, aid agencies say they are far from enough - and all border crossings must be opened if Gaza is to recover. Israel tightened its blockade of the Hamas-controlled territory in November after rocket attacks by militants. Even before the Israeli assault, aid agencies were warning of malnutrition in Gaza, as the aid-reliant population struggled to afford and access dairy, meat and fresh vegetable products to supplement the bread, rice and oil that form the backbone of humanitarian aid. Although food aid has entered the strip during and since the fighting, security problems hampered distribution, while damage to tunnels under the Egyptian border and agricultural fields have pushed up prices for other goods. Two weeks after the ceasefire, the UN said food prices had doubled or tripled from before the fighting, and Gazans were struggling to access food because of a shortage of currency which means many have not received their wages. The "acute shortage" of bread the UN reported in the immediate days after the ceasefire has been somewhat eased by increased grain deliveries, but the UN is still reporting long queues for bread. Bakeries have been plagued by shortages of cooking gas, as well as flour. Before the Israeli operation, Gaza's water and sewage system was already in dire need of maintenance and spare parts. The fighting damaged water wells and pipes, and led to shortages in the fuel that powers them, leaving half a million Gazans without running water. Two weeks after the ceasefire, 70% of Gaza's water wells were functioning, but some localities and 10,000 people in Beit Hanoun were still without water. Gaza's sewage and water body estimates it will cost $6m to repair the water and sewage network. Officials have confirmed that all two million litres of wastewater at Gaza City's treatment plant, bombed on 10 January, leaked into surrounding agricultural land. A pump that sends sewage from Beit Hanoun to the Beit Lahia wastewater treatment plant was also damaged, leaving sewage flowing onto the streets. At the height of the crisis, two-thirds of Gazans were without power. The strip's only power plant shut down on 30 December because of lack of fuel, and damage to power lines from Israel and Egypt, and to transformers and the distribution grid. Five days after the Israeli ceasefire, the power plant was operating at a third of its capacity. About a week later, Gaza was receiving 84% of its electricity needs, although damage to power lines meant households in some hard-hit areas were without power. Israel said 2.8m litres of fuel for the power plant was delivered in the 10 days following the ceasefire, which remains below the 2.2m litres a week the Israeli Supreme Court set as a minimum - itself less than the 3.5m litres for the plant to operate at full capacity. The UN says 38 transformers needed for the repair of the electricity system are waiting for Israeli permission to enter Gaza. Cooking gas has been in short supply for months. Shipments began entering Gaza in the days after the ceasefire - by 27 Jan they had averaged about a quarter of Gaza's daily needs, the UN said. Israel has for about a year limited fuel supplies into Gaza in response to rocket attacks. Eight hospitals and 26 primary health care clinics were damaged during the fighting, according to the World Health Organisation. The WHO says Gaza's hospitals were "completely overwhelmed" during the Israeli assault, with only a total of 2,000 hospital beds in Gaza, but more than 5,000 people injured. Hospitals suffered shortages of basic supplies - even when these were able to enter the strip, security problems hampered efforts to get them to where they were needed. Medical facilities were also hit hard by power cuts and fuel shortages, being forced to rely on back-up generators and fuel for them delivered by Unrwa, with Israeli co-ordination. Since the ceasefire, shortages of supplies and fuel improved. Two weeks after the ceasefire hospitals were receiving mains electricity "intermittently," the UN said, while the International Committee of the Red Cross said some heavy-duty painkillers and drugs for cancer patients were unavailable. But shortages of skilled medical personnel and ailing equipment had brought the health infrastructure close to collapse before the Israeli operation, and the UN has said it remains under "enormous strain". More than 50% of people surveyed by Care International just after the ceasefire said they faced difficulties accessing basic medicines such as antibiotics and drugs for diabetes, and heart disease - 60% of them said their health had worsened as a result. Israel has evacuated a small number of injured Palestinians for treatment in Israel, and dozens of others have been sent to Egypt - partly because the strip lacks specialist medical facilities. Some 55,000 people were sheltering in UN-run schools at the height of the fighting, but many thousands more moved to stay with friends and relatives in different areas. More than half of the people surveyed by Care International were hosting displaced people in their homes. A survey by local and international non-governmental organisations found that, in the week after the ceasefire, at least 66,000 people had still not returned to their homes. While most were said to be staying with friends and relatives, journalists have found some families camping in makeshift shelters on the top of their destroyed homes. Gazan officials have estimated some 4,000 residential and government buildings were severely damaged and another 20,000 destroyed. An initial survey by the Palestinian Bureau of Statistics said 4,100 homes were totally destroyed and 17,000 others damaged during the conflict. About 1,500 factories and workshops, 20 mosques, 31 security installations and 10 water or sewage pipes were also damaged, it said. International agencies have said difficulties in getting humanitarian staff into Gaza were hampering aid affords. Ten days after the ceasefires, the UN said 30 international humanitarian workers had been about to enter, but there were outstanding requests from the Israeli authorities for permits for another 140. * Could America take to cricket? * When should children leave home? * videoWhen should children leave home? In other words, you have no evidence of a massive humanitarian food crisis in Gaza, and no "Endlosung" (your words) is occurring. OCCUPIED-AL-QUDS/GAZA CITY: Defence Minister Ehud Barak decided on Wednesday to push ahead with plans to transform a college in the West Bank settlement of Ariel into a university, Israeli officials said. The decision sparked outrage among many who viewed it as provocative at a time when Israel is pushing to enter talks with the Palestinians over the fate of the West Bank, which Israel captured in the 1967 Six-Day War. A decision to transform the college into a university was taken five years ago but frozen. On Wednesday, Barak decided to grant the institution an intermediate status of “a university centre,” a senior defence ministry official told AFP. Full recognition as a university—planned for an unscheduled date—would entitle it to significant additional funding and the ability to grant advanced degrees. Opponents said the move would also hurt the international standing of Israel, which has faced several academic boycotts over the continued occupation of the West Bank. “It is a decision that will harm all the universities in Israel. “It’s not right that in a place where you have occupation and military rule, they want to establish an institution of higher education that teaches knowledge and values,” said Yariv Oppenheimer of the anti-settlement Peace Now group. The announcement came several hours ahead of the expected arrival of US Middle East envoy George Mitchell in Israel. Meanwhile, the United Nations on Wednesday said it was “deeply concerned” about the deterioration of the health care system in the Gaza Strip due to Israeli closures of the Hamas-ruled territory. A year after Israel’s devastating genocidal offensive in Gaza the borders of the impoverished territory remain mostly sealed, preventing hundreds of patients each month from leaving to receive timely advanced care, officials said. Israel tightened sanctions on Gaza in June 2007 after the Islamist Hamas movement seized power, sealing the territory of 1.5 million people off from all but vital humanitarian aid and strictly limiting travel into and out of Gaza. The World Health Organisation (WHO) says the embargo has led to shortages of certain drugs, delayed or prevented the entry of vital equipment and spare parts, and kept doctors and nurses from pursuing advanced training. “Gaza has a reasonably decent health care system, quite a sophisticated health care system. It’s not, if you like, a third world country in this respect,” said Tony Laurance, the WHO head for the Palestinian territories. The lack of certain kinds of advanced care meanwhile forces hundreds of Gazans to seek passage to Israel each month for treatment there or in third countries, but many are denied or receive no response. In December there were 1,103 applications for advanced care with 21 per cent of applicants declined, and 27 patients died while waiting for Israeli permits in 2009, according to the WHO. One such patient was Fidaa Hijjy, an 18-year-old woman diagnosed with Hodgkins disease who applied for a permit to be treated in Israel on three occasions last autumn but did not receive any response. She died on November 11, two days after her last missed appointment at an Israeli hospital. “The day of the funeral we got a call from the Palestinian liaison office saying the Israelis agreed that we should make a fourth appointment,” Amal Hijjy, one of her relatives, told reporters. “I said there’s no need to make another appointment because the girl died yesterday,” she said. GAZA (Reuters) – The United Nations said on Wednesday Israel's blockade of Gaza undermines the enclave's health care system and puts patients at risk. Max Gaylard, resident Humanitarian Coordinator for the Palestinian territories, said Israel was to be commended for letting Palestinians from Gaza access specialist medical care but could save more lives by allowing more timely treatment. "It is causing on-going deterioration in the social, economic and environmental determinants of health," he said. "It is hampering the provision of medical supplies and the training of health staff and it is preventing patients with serious medical conditions getting timely specialized treatment." "We have had extreme cases of patients dying because they could not get out to get the more advanced medical care in Israel," Gaylard told Reuters in an interview after presenting a report on the situation at a Gaza news conference. "It is quite true that hundreds of patients do get out to Israel. That has been happening on a continuing basis. That is good and we welcome it and the Israelis are to be commended for that," he said. "I think we are concerned about the ones who do not go out and there are too many of them." One year after Israel's offensive on Hamas-ruled Gaza, U.N. agencies and the Association for International Development Agencies (AIDA), representing over 80 NGOs, is a report highlighting the health impact of the blockade. They again called on Israel to relax its tight control of the Gaza Strip's borders to allow sufficient supply of essential items and let people seek care not available in the enclave. Gaza student Fida Hejji, 18, died of cancer waiting for Israeli permission to go to an Israeli hospital for treatment. She was promised an entry permit three times. Three days after she died last November, her family got a hospital date. "In her (Hejji's) last days she used to ask when she could rest, and when all her pain would come to an end," said her mother Shadia. "I knew she was dying." Israel says it approves most requests by Gazan patients to cross its border for treatment, and there has been a 25 percent increase in approvals since 2008 -- data supported by World Health Organization findings issued by Gaylard's office. "Not only are we doing our utmost to allow the people of Gaza every possible medical treatment, but we are doing this in a situation in which their own government is imposing a state of war and trying deliberately to harm Israelis, including those whose mission is to assist the very people of Gaza," said Yigal Palmor, a spokesman for Israel's Foreign Ministry. The U.N. report said 1,103 patients sought permits for treatment in Israel in December 2009. Most succeeded but 21 percent were denied or delayed, as a result of which patients missed their hospital appointments and had to restart. "Two patients died recently while awaiting referral - one in November and one in December," it said. In total, "27 patients have died while awaiting referral" in 2009. Israel captured Gaza from Egypt in a 1967 war. The ensuing occupation saw limited Palestinian scope for developing an autonomous health service. Israel left in 2005 but the result was far from the peaceful coexistence it might have hoped for. Critics accuse Israel of applying collective punishment to Gaza's 1.5 million people, who are ruled by an elected Islamist government of the Hamas movement. Hamas refuses to recognize Israel and preaches armed struggle until its destruction. The U.N. said Gaza's economy and environment were in a poor state, with inevitable consequences for health, and it noted that half the population are children. "The humanitarian community is gravely concerned about the future of this generation whose health needs are not being met. The decline in infant mortality, which has occurred steadily over recent decades, has stalled in the last few years." Israel refuses to let Gaza have materials that can be put to military use. It says the Palestinians are too ready to blame all ills on Israel, and should not be ungrateful for the medical aid Israeli doctors and hospitals provide. "The new surgical wing in Gaza's main Shifa hospital has remained unfinished since 2006," the report noted. Nafeth Enaeem, head of Shifa's kidney department, said dialysis treatments had to be carefully rationed last year, which he said was the worst in terms of health conditions. "Sometimes a cable for a machine took three months of coordination with the Israeli side to get into Gaza," he said. * More evacuations ordered as new storm hits Calif.
You Witness NewsSend us your photos related to the Haiti earthquake for possible inclusion on Yahoo! News. Charity Careers Start HereNonprofit and volunteer work can be a very strong aspect of a resume. Hot Career Options in Nursing If you've thought about becoming a nurse, there's no better time. * Choose from 1 of the 4 descriptions for the headline and or any paragraph. 15 February 2008 – Decrying the “miserable” daily living conditions inside the Gaza Strip, the United Nations humanitarian chief today deplored the restrictions on the flow of aid and commercial goods in and out of the area and said he would raise his concerns with Israeli and Palestinian officials. John Holmes, the Under-Secretary-General for Humanitarian Affairs and Emergency Relief Coordinator, made a day-long visit today to assess the impact on the restrictions on Gaza’s estimated 1.4 million inhabitants. “I have been shocked by the grim and miserable things that I have seen and heard today, which are the result of current restrictions and the limitations on the number of goods that are being allowed into Gaza,” he said. During his first official visit to Gaza since taking up the post just over a year ago, Mr. Holmes saw the sewage lagoons at Beit Lahiya, where the waste-water system is in a precarious state, and the Shifa hospital in Gaza City, where the director told the Emergency Relief Coordinator that the interruptions to supplies of fuel and electricity as a result of the restrictions was having a particularly disastrous effect on the dialysis and neo-natal wards. The Emergency Relief Coordinator was also briefed by UN staff, including officials from the UN Relief and Works Agency for Palestine Refugees in the Near East (UNRWA), and representatives of non- governmental organizations (NGOs), and he also travelled to the Karni border crossing. Tomorrow Mr. Holmes is scheduled to travel to the West Bank to assess the impact there of restrictions on the movement of people, goods and services. He is expected to visit Bethlehem, Hebron and the Augusta Victoria hospital. In a related development, UNRWA Deputy Commissioner-General Filippo Grandi told a press briefing in Geneva that he had been informed by the director of a large public hospital in Gaza that he was unable to deal with patients’ health problems because he had to spend his entire day searching for fuel. Without that fuel, generators and vital equipment such as incubators would shut down, he told Mr. Grandi. The Office for the Coordination of Humanitarian Affairs (OCHA) reports that residents of the West Bank are also suffering, with over 560 blockages of various sorts making everyday life increasingly difficult. OCHA has voiced concern that the constraints could lead to growing political radicalization, especially among the younger members of society in the West Bank. Meanwhile, in northern Lebanon, UNRWA and the Lebanese Government have announced plans to rebuild the Nahr el-Bared camp for Palestinian refugees, which was badly damaged last year when members of a militant group used it as a base to fight Lebanese Government forces. Award-winning documentary film on the root causes of the Israeli-Palestinian conflict. The film depicts life in occupied Palestine under Israeli military rule. This and many to follow! Jerusalem, 30 January 2009— World Vision delivered emergency supply kits into Gaza today, where the parcels containing food and candles will be distributed on arrival by local staff to hundreds of the neediest families in southern Gaza’s Rafah area. Another shipment is planned for North Gaza this weekend, to reach a total of 1,144 struggling households this week. These truckloads of World Vision supplies will reach more than 9,000 people with food staples to last for up to a month. Food, blankets and candles are among items most urgently needed by people living in Gaza because of the damage to the infrastructure and widespread loss of basic possessions during the 22-day military incursion there. Items in the kits include canned tuna and beef, vegetable oil, beans, lentils, tea and biscuits. They also include a picture brochure in Arabic that warns families about the dangers of unexploded ordnance (UXO) and how to recognize and avoid it. World Vision’s emergency response within Gaza has already reached more than 3,000 people in vulnerable households with food supplies for several weeks through a food voucher program. A shipment of 5,000 blankets is prepared for delivery early next week, and hygiene kits will follow. In addition to material necessities, child protection and well-being will be addressed through “Child-Friendly Spaces” that give children a safe haven in which to play, rest and interact with each other. A June 2008 study conducted by World Vision in north Gaza showed children experienced alarmingly high levels of recurrent nightmares and anxiety-induced bedwetting linked to prolonged exposure to violence and fear. Local staff report the numbers of traumatized children increased dramatically during the incursion, and existing psychosocial intervention programs will be continued to help them heal emotionally. World Vision aims to reach more than 100,000 people with its relief and early recovery assistance in coming months, including emergency job creation, rehabilitation of agricultural land and greenhouses, and rehabilitation of fishing industry. The Christian humanitarian organization has been working in the Holy Land since 1975 serving the poor, especially children. World Vision operates two development programs in Gaza, cooperating with local communities in sustainable agriculture and other areas of need to foster independence from relief aid and improve standards of living in all sectors. World Vision staff are available for interviews. Please contact Casey Calamusa at 206.310.5476 or CCalamus@worldvision.org. World Vision is a Christian humanitarian organization dedicated to working with children, families, and their communities worldwide reach their full potential by tackling the causes of poverty and injustice. We serve all people regardless of religion, race, ethnicity, or gender. For more information, visit www.worldvision.org/press. That's an interesting website, Art. Thanks. No, no--this is a matter of fact. Where are the starving Palestinians? Where is the humanitarian food crisis? That's the accusation you made. Prove it. You sir, call it news/information. I call it by it's real name, PROPAGANDA! I will bet you I can find people, that do not believe that Earthquakes hit Haiti! What evidence do you have, Mr. Kislock, that Palestinians in Gaza are being starved for food? Images from Gaza show markets chock full. Faced with uncomfortable facts from Prof. Devine, Omar's response is that she is lying about what is going on in her own class. * The report violates international standards for inquries, including UN rules on fact-finding, replicating earlier UNHRC biased statements. * The Commission systematically favored witnesses and evidence put forward by anti-Israel advocates, and dismissed evidence and testimony that would undermine its case. * The commission relied extensively on mediating agencies, especially UN and NGOs, which have a documented hostility to Israel; the report reproduces earlier reports and claims from these agencies. * At the same time, the Commission inexplicably downplayed or ignored substantial evidence of Hamas’ commission of war crimes, crimes against humanity and crimes of terror, including specifically its victimization of the Palestinian population by its use of human shields, civilian dress for combatants, and combat use of protected objects like ambulances, hospitals and mosques. * The Commission openly denies a presumption of innocence to the Israelis accused of crimes (while honoring Hamas’ presumed innocence) and acknowledges that it made accusations of crimes without proof that would stand up in court. Yes Prof for once you are right it is 1400 and NOT 14000 as inadvertently slipped in and was jubilantly discovered and corrected by you. Except for that unique historical occurrence of you being right, but certainly never, in toto, in the right, you are wrong. Re distribution of Gaza casualties, between unarmed civilians and armed militants, I refer you to the Goldstone Report. Re the reaction of students to Prof Divine's course I beg to question the veracity and objectivity of her remarks which, being subjective as she leaves no doubt about it, are bound to reflect her all but declared Zionist/Israel bias and parti pris. Her conclusions are as dubious as her eligibility to undertake that course at a UNIVERSITY! Her course would beautifully fit in at a Yeshiva or a Kibbutz but certainly not at a respected US University. With all due respect to Fahrettin I maintain that he still fails to appreciate the fact that Israel is not only the cause of a major human tragedy and is the ongoing perpetrator of major human rights violations and war crimes( Read Goldstone report) but an alien colonialist implant bent on exploiting and dominating its environment in collusion with western imperialism . His nation Turkey is slowly but surely reaching that conclusion, as Iran earlier did and as progressive circles are increasingly realizing all over the world. If as I am supposed to believe that Israel, is only Blockading the Gaza Ghetto for security reasons. WHY, is Food, Medicine and anything Necessary for Survival Also Blocked? The United States is Paying Israel and Egypt Billions of US Aid Dollars, to have the "Finial Solution-Die Endlosung" for the Palestinians! It's 1400 deaths in the Gaza War, Omar--not 14,000. And two/thirds of those were armed Hamas terrorists, Mr. Kislock. Professor Landes is exactly right that that the total deaths in the last 20 years of fighting is under 10,000. Omar's "hundreds of thousands" of Palestinian deaths is sheer fabrication. As for the Gaza War, let's not forget that it was preceded by 6,000 missiles fired into pre-1967 Israel by Hamas. SIX THOUSAND. Mr. Kislock appears to have forgotten THAT part. The author is correct that there are two sides to this conflict. It's good to have students reflect on this. Note that in the article the Arab students feared their fathers would find out they had to role-play Israelis; the Jewish students had no fears about role-playing Arabs. This shows, again, where the weight of responsibility is. As Fahrettin told Omar months ago: all over the world there are tragedies; 1/3 of the current Turkish population are refugees from Europe; so you have the choice of making a deal or continuing to suffer and inflict suffering for another 60 years. Omar preferred the second choice. But he can't accept responsibility for his own actions, so he sees the Jews as demons. And irresponsible leftists such as Arnold S. encourage people like Omar, seeing the terrorists as the vanguard of the revolution and trotting forth their left-over "third worldism" from the 1960s so that Palestinians don't have to act like adults. This article by Professor Divine on the issue of the Palestinian/Israeli conflict is more important than most in that she outlines the way she structures her classes on the subject at a MAJOR USA university: Smith College ( No Bob Jones U for sure.). Presuming that for maximal/optimal benefit to the STUDENTS the approach, in a teaching class, should be even handed, uninvolved and unbiased and best be undertaken by a neutral party to the conflict; attributes to which Professor Divine pays lip service at the outset in which she contends, or advocates, “not taking sides” and discredits “political advocacy”, a question arises ! The question that arises is whether Professor Divine herself does qualify according to these elementary criteria, including her own? a-” So, I ask my students to calculate the costs and benefits of founding settlements in the areas conquered from Jordan in June, 1967, part of the historic land of Israel and its landscape of sacred sites. “ ( note:”the historic land of Israel…”) . B-In all the examples she gives about areas she proposes to be researched by her students she is consistently anti Palestinian. b-the absence of any book that chronicles, i.e. puts forward the indisputable historical facts, about the roots of the conflict. To remedy this, intentional?, deficiency,( historical facts are after all important !) I would suggest to her the English translation of Walid Khalidi's "Before Their Diaspora" and A.W. Kayyali’s “ The Palestinian Problem”;both admittedly pro Palestine books by Palestinian authors and a US author: Alfred Lilienthall’s “What price Israel?”( old but consistently relevant) to counter the avalanche of pro Israel books flooding the American market and the implied advocacy of pro Israel U professors . With all due respect to Smith College and Divine's credentials I contend that Professor Divine does NOT qualify to lead a class on this issue for definitely “Taking sides” and for conducting “ a political advocacy” . written, were it a night class i would take it instantly. I am keeping the days open to teach at the Jewish day school. The part where you describe role reversal brought tears to my eyes. A revolution is happening in your classroom, it sounds like. As part and parcel of the ongoing Zionist colonialist conquest of Palestine the recent war on Gaza with the 14000 Palestinian victims it caused certainly deserves special attention in this historical phase: being the last, and longest running, decolonization, liberation, war of modern times. That its victims did not, yet, run into the millions should not detract from the utter destructiveness of the Zionist movement and its outgrowth Israel. Although the Palestinian resistance to this colonialist conquest since the early 1920s had already caused the death of hundreds of thousands of Palestinians portents are that ,ultimately, it might meet Mr Landes' criteria for prominence and hit the million mark! your comment makes it clear how much you have become a prisoner of the media you read. while fewer than 10, 000 people have been killed in the arab-israeli conflict in the last 20 years, more than 5 million have been killed in Congo, 2 in Sudan, in the same year that 1400 (bad statistics, but okay) palestinians were killed, 20,000 tamil civilians were killed. what makes gaza the "crime of the 21st century" other than you obsession with stigmatizing israel. oxymoron best describes your alleged concern for human life. as golda meir put it: peace will only come when the palestinians love their kids more than they hate us. 21st variant: the "left" will refind their soul, only when they care about the rest of the planet more than they care about dumping on israel. The author contends that :" Over the years, I have experimented with various approaches to achieve these aims—my syllabus never remains the same from year to year, and the changes I introduce invariably generate the need for even further change. " -The establishment on that land an all but declared RACIST state which stands now as the only state in the world that discriminates , de facto and de jure, on confessional grounds with particular negative discriminatory emphasis against the indigenous population and inhabitants of the land it colonized. -For undertaking an incessant massive ethnic cleansing campaign that include mass masacres and mass civilian deportation against the indigenous population of the land it colonized for better to supplant them with aliens chosen and screened according to their racist/confessional standards. -For undertaking collective punishments and committing war crimes against the indigenous population of the land it colonized and came to dominate. How anyone not feel the Death and Destruction, rained down on a Imprisoned Palestinians in the Gaza Ghetto, by the US/Israel and Not Feel total Contempt for both countries. The December Massacre of over 1400 Palestinians imprisoned in the Gaza Ghetto, is The War Crime of the 21st century. A human being,cannot look at the Gaza Ghetto Killings and not feel, there are Not two just side, to this sorry chapter of mans injustice; as the authors hope to state!